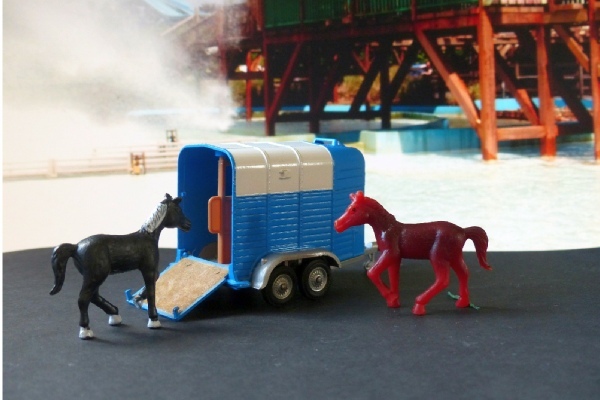 An immaculate blue horse box with both horse and pony. This is the wider version of the Pony Trailer produced and has a side opening and a covering on the ramps. This would usually have formed part of GS15, the follow on from GS2. I don’t think these are the right ponies. This is the first edition with cast, spoke-effect wheels and a red coupling.